Who is funding the climate change denial groups? Have a look at Hot Topic’s Puppets on a string: US think tank funds NZ sceptics. 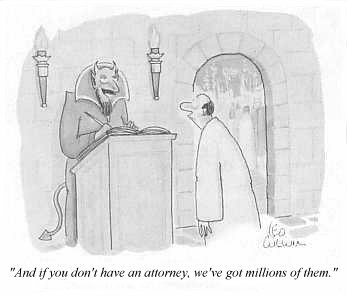 A nice little exposure of how some of the local climate change denier groups get finance. We need more of these sorts of investigations. 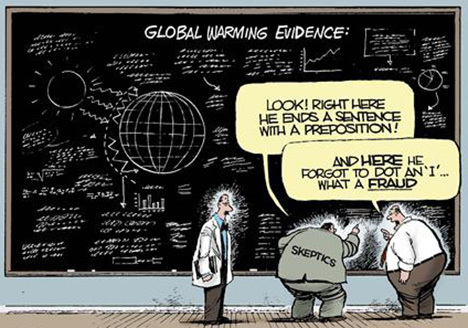 Which brings me to the Guardian’s article Climate scientists back call for sceptic think-tank to reveal backers. Who funds the Global Warming Policy Foundation, a London-based climate sceptic think-tank chaired by the former Conservative chancellor Lord Lawson? Many have been asking this. The group has been very active, and quite effective, in high publicity campaigns aimed at discrediting climate science and scientists. In particular it has attacked any real or perceived attempt by institutes to restrict availability of data. But he sings a different tune when asked who is funding his organisation. He just refuses to reveal the identity of his big donors. Understandably many accuse him of double standards. (I have experienced exactly the same hypocrisy from local denier groups when I have asked for copies of their data and methodology.) And so far he has had the state bodies on his side – a Freedom Of Information (FOI) request to the Charity Commission for it to make public a bank statement it holds revealing the name of the educational charity’s seed donor, who gave £50,000 when it launched in 2009, has been denied. This appeal has won support from climate scientists around the world who have often been the target of FOI requests. Some would say they have been harrased by such requests. Reminds me of a few sayings – What’s source for the goose is sauce for the gander. And people in glass houses shouldn’t throw stones. I’ll keep an eye open for the judge’s ruling. However for anyone with a scientific interest in the subject it’s certainly very readable. I think the interested layman would find the book useful. It is an authoritative and reliable source for information. The book is based on the Intergovernmental Panel on Climate Change 4th Assessment Reports but does include some findings published since then. However, the IPCC reports are just so intimidating in their size and depth. Even the summaries are not very accessible to the layperson. Andy Reisenger’s book has the advantage that it basically puts all this science into 300 pages. It’s structured to follow the IPCC reports so it also serves as an introduction to anyone who wants to follow up specific aspects or wants more specific detail. I will post my review of this book later this month. From what I have read so far I recommend it to anyone seriously interested in the subject. Particularly if they want a good reference to the science. 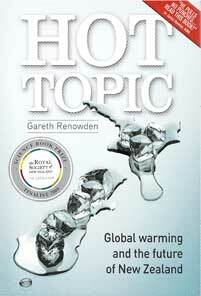 Meanwhile it has been reviewed by Bryan Walker at Hot Topic (see Climate Change 101: an educational resource). 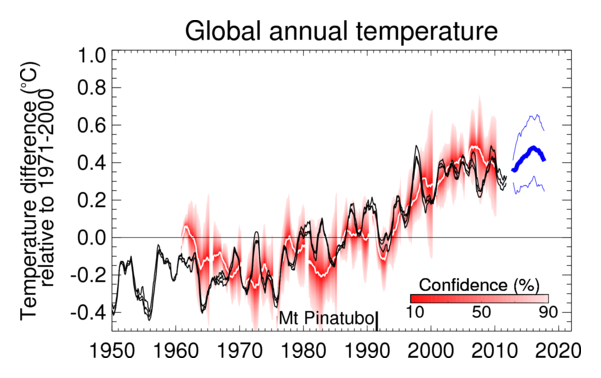 And if you want to immerse yourself fully in the details have a look at the IPCC reports. In my day it was Tom Lehrer and his song “The Elements.” It always struck me as a humourous way of remembering the name of the chemical elements – when you didn’t have a periodic table handy. Sounds like the album will be great or kids – especially with Christmas coming up. So, Ian Wishart, author of the book Air Con, is threatening to sue The Herald Newspaper and one of its columnists for defamation! (See Air Con author preparing to sue Herald, and Hot Topic.) The offensive sentence? “Only this week breakfast TV host Paul Henry flirted with stupi-duty by lending support to Ian Wishart’s AirCon, a book that the excellent Hot Topic (www.hot-topic.co.nz) noted ‘appears to come from another planet'” (see Chris Barton: Climate debate adrift on rising tide of lunacy). (The word “supi-duty” was a parody on a critical missive the Herald had received from a climate change denier). So go along and have a look at the nominees, even vote for the ones you like. If you have a nationalistic interest be aware that two New Zealand bloggers (that I am aware of) submitted posts. Hot Topic’s post Monckton & The Case Of The Missing Curry (#63). And Open Parachute’s series on Human Morality (I: Religious confusion, II: Objective morality, III: Moral intuition, IV: Role of religion and V: The secular conscience)(#94-#98). Phil Plait points our (A new blog prize: the Quarks!) that science blogs have been under-represented in annual blog awards. So he is welcoming the announcement from 3 Quarks Daily of four annual blog prizes. They are for Science, Arts & Literature , Politics and Philosophy. There are a number of NZ science blogs now who should consider nominating a post (e.g. simon.net.nz, Science Media Centre Blog, Physics Stop, Henry, Cr!key Creek, Hot Topic, Bioblog and I apologise for those I have missed). I guess chances are remote alongside the high ranking US science blogs. But you never know. The nomination process itself may bring a bit of traffic and let people know that we have such blogs in New Zealand.